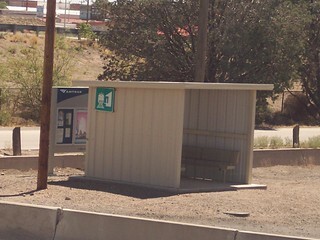 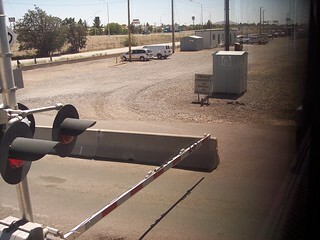 The Deming station offers a small shelter with benches. 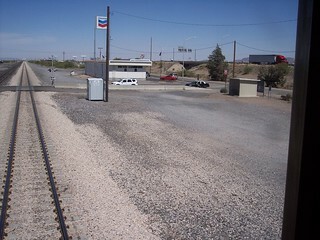 A wide shot of the station. 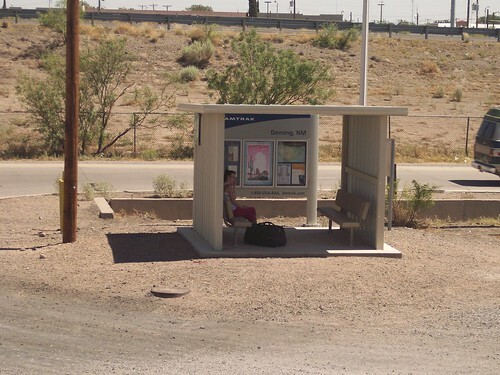 The roadway is used as the platform.